In a previous post, I’ve talked about the growing opportunities in the Nigerian construction industry. In this post, I will be sharing some mega-construction projects currently ongoing in the country as a testament to the growth of the Nigerian construction industry. Here are 8 Mega-Construction Projects in Nigeria, some you know about, others you might not be aware of! Project Cost: At least Six (6) Billion Dollars. The proposed Eko Atlantic is a Lagos city that is being built on reclaimed waterfront and expected to accommodate at least 250,000 residents of the city on the project completion. The Eko Atlantic project extending over 9 square kilometres and is also expected to have positive effects in restoring and protecting the state shoreline. At 7km and 40 metres wide, the islands’ walkway will be the longest in the world. As at May 2012, the Lagos state and South Energyx Nigeria Limited, developers and city planners of Eko Atlantic, 17 expatriates firms and over 500 Nigerians firms were currently working on the project and the expected date of completion is 2015. The intended residential and commercial properties designed for the Eko Atlantic will ease pressure on the already overloaded infrastructure on the Island. Eko Atlantic will support a new urban development the size of the Manhattan district of New York City. 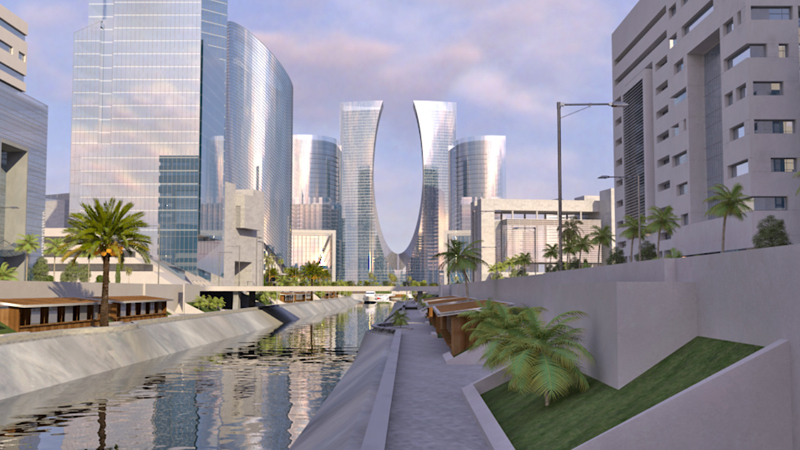 ‘’An environmentally conscious city, built with nature to restore an original coastline and to protect Victoria Island, Lagos, from the severe risk of ocean surge and flooding…’’- (CGI). The dredged Lower River Niger being the largest river in Africa cuts across eight Nigerian states and passes through 152 communities. It has a length of 572 kilometres, which starts from Warri in Delta State to Baro in Niger State. Other states covered by the dredging include: Kogi, Anambra, Imo, Bayelsa, Rivers and Edo. The dredging of the Lower River Niger was flagged-off by the late President Umaru Musa Yar’Adua on September 10, 2009. The primary objective of the Lower Niger dredging is to guarantee the navigational channel is kept constantly opened and functional to deliver sustainable improvement in water transport. 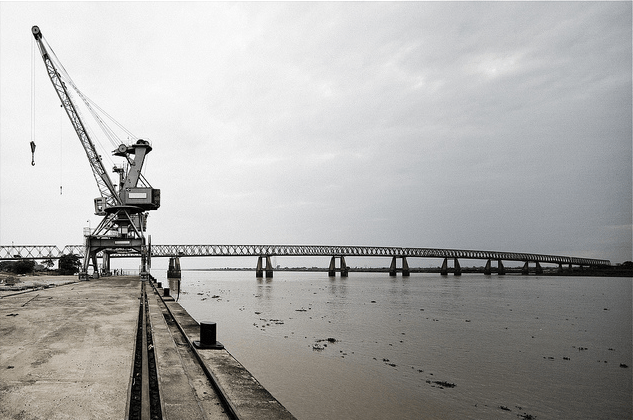 As envisaged by Federal government, the dredging is intended to deliver numerous socio-economic benefits to the neighbouring communities and the entire country including: creating an aquatic highway that provides year-round navigation, boosting the waterway networks, ensuring a significant drop in the cost of mass transportation of bulk cargoes such as: the haulage of cement from the Obajana Cement Company or petroleum from proposed refineries at Kogi and Benue. The improved water transportation channel networks will alleviate congestions on the Abuja-Lokoja and Benin-Asaba-Onitsha Expressways. Royal Westminster Dredging and Marine Ltd and William Lloyds Technical Company are some of the project contractors. Project Cost: Yet to be confirmed (1.12 – 30 Billion Dollars). Lagos Light Rail is a light rail system, the first of its type in this region of Africa, is envisaged to eventually consist of seven lines (Red, Blue, Green, Yellow, Purple, Brown and Orange). The scheme is approximately 35-kilometre in length with an estimated ridership of a minimum of 500,000 passengers per day. The following fourteen (14) station locations are proposed. The railway system including electric power, signalling, rolling stock, and fare collection equipment will be provided by the private sector under a Concession Contract. The concessionaire is expected to generate her own dedicated electrical power. In September 2011, LAMATA (Lagos Metropolitan Area Transport Authority) stated that it would acquire H5 and H6 subway cars from the Toronto Transit Commission (TTC), a public transit operator based in Toronto, Canada. Construction commenced in January 2010, and completion is expected in 2015. The Blue Line is now being built by China Civil Engineering Construction Corporation (CCECC). The Blue Line will run 27.5 km from Marina to Okokomaiko, with 13 stations. 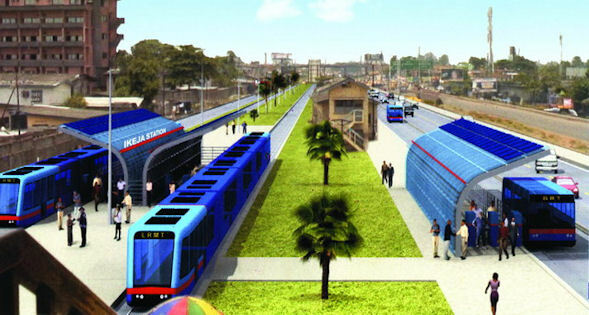 Lagos State is financing construction of the Blue Line from its own resources. A concession contract is being awarded to finance, supply and operate the railway equipment, including electric power, signalling, trains, and fare collection. The LRMT scheme is being financed by the Federal Government (45%), Lagos State Government (40%), and Ogun State Government (15%). The World Trade Centre project is a partnership between the FCT Administration and the First Continental Properties Limited, a subsidiary of Church-gate Investment Limited. The construction site sits on 6,102 hectares of land along the Constitution Avenue in the Central Business Area that is located at the centre of the city of Abuja. The project which commenced in March 2011 will have the phase one completed by September 2013. The ?156 billion development, the World Trade Centre towers is a multi-use complex that will comprise of luxury high rise office towers, luxury residence apartments, conference facilities, shopping malls and entertainment facilities. Lekki Free Trade Zone (Lekki FTZ) covers a total area of about 30 square kilometres with 27 square kilometres for urban construction purposes, which would hold a total of 120,000 residents. Approximately 50 kilometres from the city centre of Lagos, the economic capital of Nigeria, Lekki FTZ borders Lekki Lagoon in the north and faces the Atlantic in the south. Lekki FTZ designed to integrate industries, commerce & business, real estate development, warehousing & logistics, tourism & entertainment etc. A considerable number of construction works will be carried out in the Commercial & Logistics Park, including the international commodities & trade centre, the international exhibition & conversation centre, industrial factories, office buildings, hotels and residential apartment buildings. The Commercial & Logistics Park on the long runs is expected to serve as the logistics and distribution centre of Chinese products in West Africa and represent a service demonstration base for the entire Lekki FTZ. 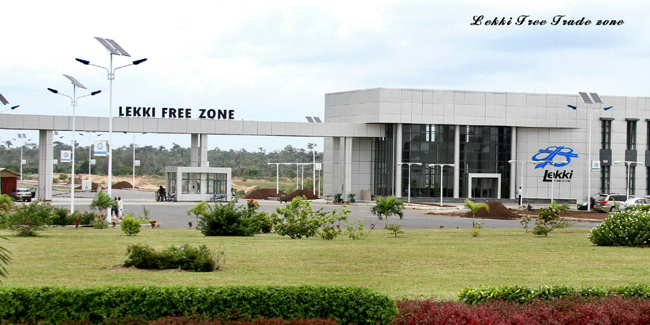 Lekki FTZ has been established jointly by the Lagos State Government, the China-Africa Lekki Investment Limited (CALI, a Chinese Consortium: China Civil Engineering Construction Corporation, China-Africa Development Fund Ltd, China Railway Construction Corporation Ltd and Nanjing Jiangning Economic & Technological Development Corporation), and Lekki Worldwide Investments Ltd. in Lagos. 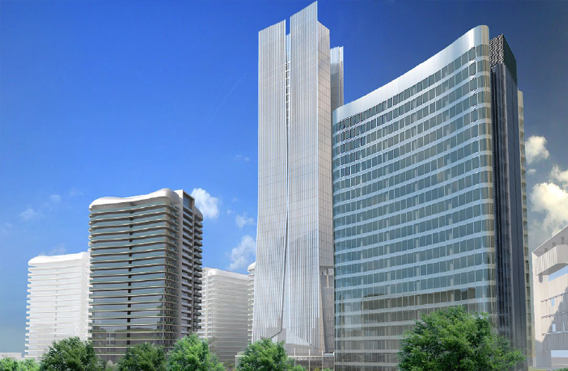 The Abuja Millennium Tower as it is generally referred is a complex that is expected to hold a Cultural Centre, Millennium Tower and the National Square. The tower was designed by Manfredi Nicoletti, an Italian and a winner of the Comité International des Critiques d’Architecture prize. The 170 metre (560 ft) tower is expected to be Nigeria’s tallest building when completed along with an eight storey, low rise, pyramid shaped Cultural Centre. Located in Abuja, the site is severed by a main road so the two buildings will be linked via an underground arcade. The tower consists of three cylindrical concrete pillar-like structures varying in height and linked together near the towers first peak using a disc shaped section which will house in its two floors, an observation decks and a restaurant where visitors will be able to enjoy spectacular views of the city below while they eat. Around the pillars of the tower three transparent stainless steel wings wrap delicately but protectively around the base of the tower and gradually open outwards in a fan like fashion as they extend up the height of the tower. “The project is an engineering, procurement and construction of a 1400MW Combined Cycle Independent Power Producers Plant in Sapele, Delta State. The new plant is being constructed adjacent to the existing power station, initially in Simple Cycle with a later conversion to Combined Cycle to follow. The Project will include a 70km long, 330kV Transmission line to link up with the Power Holding Company of Nigeria (formerly NEPA) National Grid. The first phase of the project is the installation of five gas turbines operating in simple cycle mode. 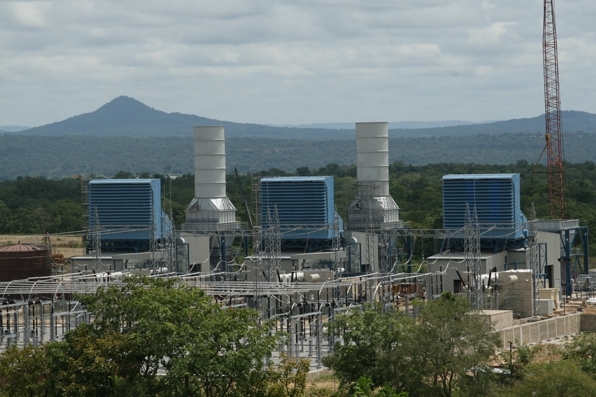 Phase 2 will be the installation of a sixth gas turbine and three steam turbines to make it a fully combined cycle plant. Included within the first phase will be all the piling and foundation work for the whole facility. Feasibility studies have been concluded and front-end engineering design is well under way’’ – Official website. The power project is expected to service majority of Delta and neighbouring states. The project was awarded by Ethiope Energy Limited to Rockson Engineering Nigeria. 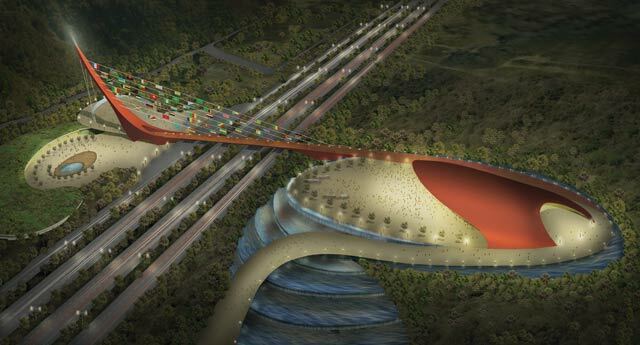 This stunning solar powered gateway will have the shape of the traditional Nigerian bow harp; the design connects the new Abuja Airport to the central area on the opposite side of the free-way and comes complete with green roofs, giant solar canopy and bricks made from local laterite clay. Conceived by Ehrlich Architects, the design was recently crowned winner of an international competition to create a gateway to the capital city. Ehrlich Architect’s design symbolizes the weaving together of the country’s many different people. The sweeping gateway brings together the city of Abuja’s modern atmosphere with the cultural heritage of Nigeria as a whole. The plan features an amphitheatre and public space with a photovoltaic canopy to provide power and shade visitors from the sun. A green roof covers nearby buildings making them melt into the surrounding greenery. AND PHONE DOOR ENTRY SYSTEM. Hi Samuel,kindly send your Dad’s proposal to cs@sapientvendors.com.ng ,once there is need for his service we would call him. I will need updates of how my organization (Korea Republic of – Embassy) will come in to support such huge projects. I made contact with Industrial Technologies and Electric (INTELTD) last week,I trust you work with same organization. I am the MD of SAKMOD ASSOCIATES LTD , an indigenous construction firm. We’ve been in existence since 2004 and have executed series of project in the country. We would be glad if you could consider us as on of your contractors. Thanks. We are suppliers of all your work at height /construction safety solutions.We deliver engineered systems for your safe access and egress. Suspended work platforms, Retractable Lifelines, Harnesses,Lanyards and Rescue Devices/Confined space solutions. Call us directly on 08175774050 to arrange a free site visit. We are able to execute mega projects as well as project supervision. We have execute starting from small villas, compounds, mosques, commercial buildings, industrial projects, hospital. My name is Idowu am a Mechanical Consultant and have worked with UNECON Associates Ltd which is an M & E consulting firm that have been in existence for close to 50 years my office is also part of the EKO Atlantic project. Have been involved in a lot designs and supervision and I would love to work with you firm either in design, bill and specification or supervision of HVAC system (i.e Chilled water, VRF, Splits Central heating, Ducting), Plumbing, Fire fighting, Lift and Escalator, Cleaning Cradle. You can contact me through my e-mail address jkelvinidowu@gmail.com.